Easily the most famous singer from the 60’s who is not in the Rock and Roll Hall of Fame; many may find it puzzling that the man associated with the iconic “Twist” is not in the Hall of Fame, let alone the recipient of a nomination. Chubby Checker did have more hits than the Twist, but they were all following the same dance pattern, and many were just watered down versions of the Twist. Easily a man with a firm lace in Rock and Roll history, he may have to settle for that accolade as rarely does the Hall look at artists considered as one dimensional as Chubby Checker. Should Chubby Checker be in the Hall of Fame? Buy your Tickets to see Chubby Checker at Graceland Soundstage in Memphis, TN HERE for as little as $139! Buy your Tickets to see Chubby Checker with The Duprees at State Theatre New Brunswick in New Brunswick, NJ HERE for as little as $157! An odd "Twist" of fate that Chubby Checker is not in the RRHF. Long overdue for him to be honored with induction! Chubby Checker is not in the top ten on my personal list of favorite artists not yet in the Rock & Roll Hall of Fame, but he is at the top of my list of most deserving and not yet in the Hall of Fame. It's disappointin g that not only is he not in the Hall of Fame, but he's never even been nominated. The Hall of Fame is all about politics. 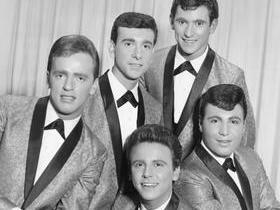 Beyond the obvious (Elvis Presley, Buddy Holly, Little Richard, The Beatles, The Rolling Stones, and others), if you look at who the Rock & Roll Hall of Fame has inducted in recent years, many don't hold a candle to many on this list. It's the ROCK & ROLL HALL OF FAME, not the Pop Music Hall of Fame, not the Country Music Hall of Fame, not the R&B Hall of Fame, etc. I'm not denying other forms of music have influenced rock music or been derivative of rock music, but can we focus on rock & roll music? Chubby Checkedr has the number one rock song of all time according to billboard. yes folks number one. bigger than american pie or like a vrign or satisfaction or hey jude or beat it or heartbreak hotel. Chubby checker played the biggest concert in the history of Idaho. 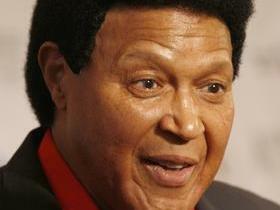 It is a joke that Chubby Checker is not in the rock and roll hall of fame.